Jesto offers low-cost transmission repair combined with expert transmission rebuilding in Tampa, Florida. If you're having transmission problems, need to rebuild your transmission or simply need a transmission repair, call Jesto at 813-873-2433 for high-quality, experienced transmission work. Our auto transmission repair service is unsurpassed in the Tampa area. In fact, Jesto has been serving the Tampa Bay area for more than 32 years! Jesto Transmissions is the largest wholesaler of automatic transmissions in the Tampa Bay area. 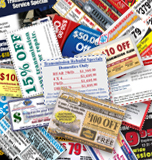 We cut out the middle man and go direct to the public for huge savings. We'll provide you with one straight-forward transmission repair cost or rebuild	price that includes all parts, labor and torque converter with a 12 month 12,000 mile or 3 year 36,000 mile warranty. We even offer financing. That's just good service – That's Jesto. We also offer transmission inspections with no inspection fees & free transmission diagnostic checks for domestic and foreign cars as well as light trucks. 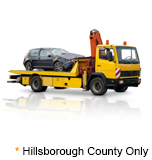 We offer free towing throughout the Hillsborough County area in Tampa, FL. Let's see what we can do to help fix your transmission problem!